Your employees are your most valuable resource. Give them the power to prosper with collaborative resource management capabilities that allow them to easily track and manage assignments across projects, studios, and offices. BST10 Enterprise gives consultancies the ability to easily locate and engage the right resources both locally and globally, resulting in better staff utilization company-wide. Strong teams create strong projects. To make sure you deliver the best results to your client, you need to build a team that has the right skillset and availability. BST10 Enterprise makes this process easy with the BST10 Resource Assistant. Now, you can quickly search for the right resources company-wide, and then instantly assign them to project tasks. And because our business system automatically alerts staff of new assignments, everyone is now on the same page. Gain complete visibility into how your employees are allocated across your project portfolio. Easily review your team’s planned workload, address over and under-allocations, and alert your team of schedule updates in one, integrated environment. BST10 Enterprise offers resource managers multiple viewing options that can be used to assess the long-term utilization of their teams, or focus on short-term workloads to ensure assignments are distributed optimally. Arm yourself with the knowledge you need to make informed decisions about your resource allocations. 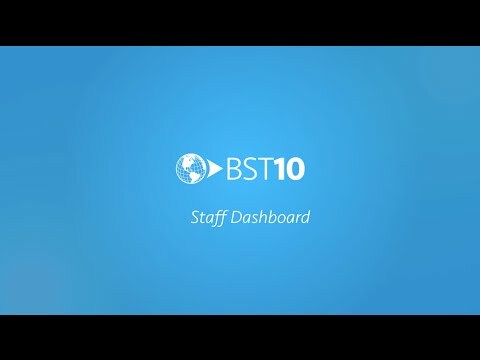 The BST10 Operations Management Dashboard provides you with summarized staffing information through graphic visualizers, so you can quickly identify and address scheduling issues as they arise. You also get a historic look at your staffing history, allowing you to learn from past utilization rates and make adjustments for future improvement. Never be out of the loop. Communication is key in project-driven businesses. BST10 Enterprise eliminates inefficient communication processes and improves productivity by ensuring that your team always knows their project assignments. Within the BST10 Staff Dashboard, employees can easily see all projects they’re tasked to work on and review their personal performance metrics to make sure they’re meeting utilization goals. Spend less time filling out timesheets, and more time doing what you love. 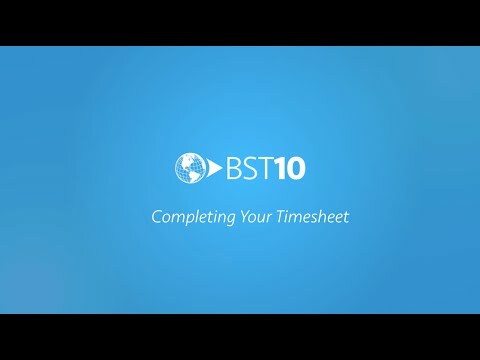 In BST10 Enterprise, we’ve simplified the time tracking process to allow you to easily add hours to projects directly from your Staff Dashboard. With one click, you can instantly load all projects and tasks that you have been assigned to work on during a timesheet period. Then, all that’s left to do is enter the hours you worked and submit. Record time on the go. When you’re out of the office, BST10 Mobile makes time tracking simple and straightforward. Now, you can quickly create, edit, and submit timesheets from anywhere using your mobile device. And because our app is fully integrated with your desktop solution, you can easily start a timesheet on your computer and then finish it on your mobile device – or vice versa. Instant timesheet approval from anywhere. It’s time to mark this one off your to-do list. As a manager in a design consultancy, your days can get pretty busy. That’s why we have simplified the timesheet approval process for you with BST10 Mobile. Now, supervisors can use their mobile devices to review and approve submitted timesheets, quickly and easily.